The SAP Cloud Platform, SAP HANA Service is available in both the Neo and Cloud Foundry environments. 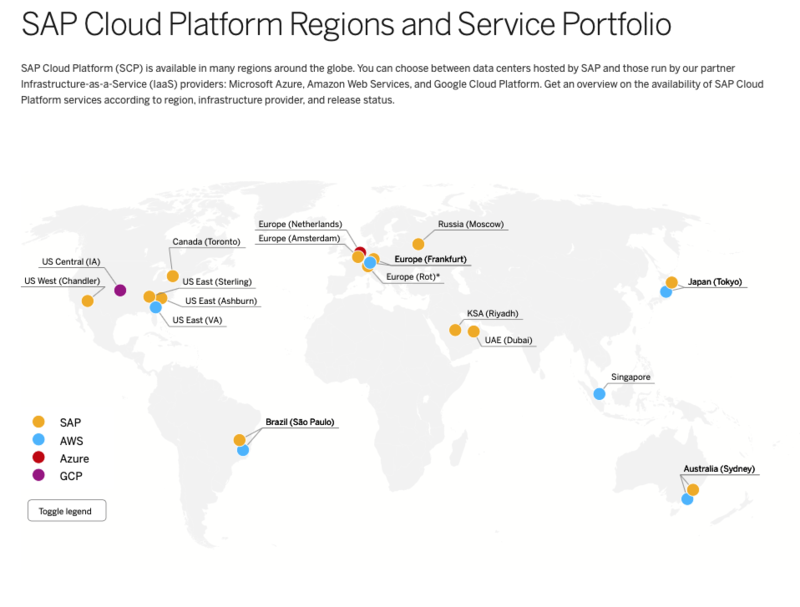 Neo is hosted in SAP data centers, Cloud Foundry is provided by Amazon Web Services, Google Cloud Platform and Microsoft Azure. At the time of writing and recording of the video tutorials, the version available in the Neo environment is a maintenance revision from SAP HANA 1.0 SPS 12. In Cloud Foundry, we encounter the latest revision of the SAP HANA cloud edition database. In Neo, you create database systems (single container or multi-tenant). In Cloud Foundry, you create service instances. A good place to start is the Feature Scope Description document. How this works, we explain in the first video. In video number 2 and 3, we show you how to create a database system (and tenant database) in Neo, and how to create a service instance in Cloud Foundry and how they are different. In this first video tutorial, we cover what features of the SAP HANA Service are available in the different SAP Cloud Platform environments, as documented in the Feature Scope Description. In this video tutorial, we show how to create a new Database System and a new tenant database for the SAP Cloud Platform, SAP HANA Service in the Neo environment. In this video tutorial, we show how to create a new Database Instance a for the SAP Cloud Platform, SAP HANA Service in the Cloud Foundry environment.